Some of today's 'desktop' mini-PCs make laptops seem downright bulky in comparison. Some of today’s desktops can make even the sleekest of laptops seem downright bulky. Computers have been shrinking for years, and the revolution has only accelerated in recent times. As chipmakers focus on creating processors that sip power without sacrificing performance, thermal concerns have largely been alleviated in modern CPUs. Because of that, today’s pint-sized PCs offer enough performance to play HD video and satisfy Office jockeys, the opposite of the janky, compromised experience of yesteryear’s microcomputers. From PCs-on-a-stick to discreet boxes no larger than a deck of cards, let’s take a look at the wide range of computers available that can fit in the palm of your hand—starting with the one that brought teeny-tiny PCs to public attention. Editor’s note: This article originally published on April 17, 2015 but has been updated repeatedly as new models and information became available. The most recent update was on 1/19/2017. The Raspberry Pi receives accolades for kicking off the maker revolution, but it also thrust the idea of tiny computers into the limelight. 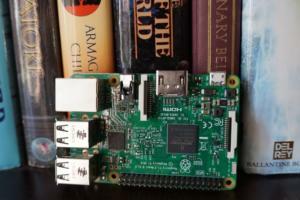 The Pi certainly doesn’t look like a traditional PC: It’s an open board powered by components usually found in smartphones, not computers, and it even draws power via a Micro-USB connection—just like mobile devices. Sure, the appeal of the Raspberry Pi has always been in what you do with it rather than raw tech specs, but it’s the hardware that lets you create surprisingly practical Raspberry Pi projects as well as insanely creative inventions. Can’t spare $35 for a Raspberry Pi 2? Meet Chip, an even smaller, even more modest PC that costs a mere $9. It’s powered by an ARM-based processor from Allwinner, a low-cost producer of chips for smartphones and tablets, and a Raspbian-like Linux-based operating system preinstalled. Measuring a mere 2.3x1.5 inches, Chip comes with 1GHz Allwinner R8 Cortex A8 processor with Mali-400 graphics, 512MB RAM, 4GB storage, and built-in Bluetooth and Wi-Fi. Compared to the Raspberry Pi 3, Chip’s processor should be woefully slow, but its baked-in storage is something that Pi simply doesn’t match. The developers offer various kits to transform Chip into a PICO-8 gaming console and even a portable handheld PC. 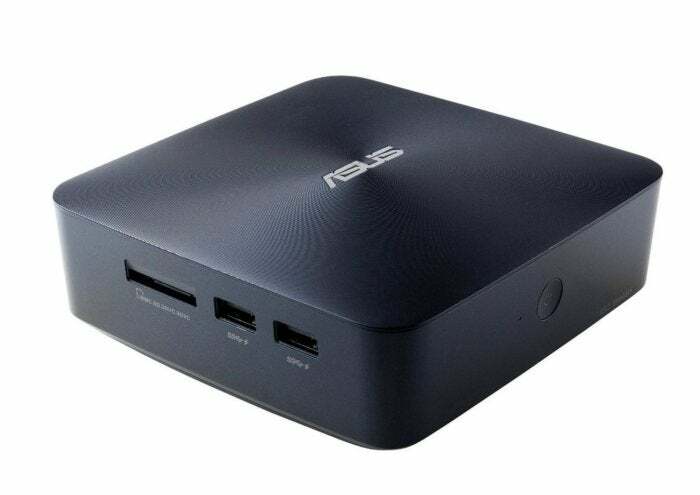 But mini-PCs come even cheaper. 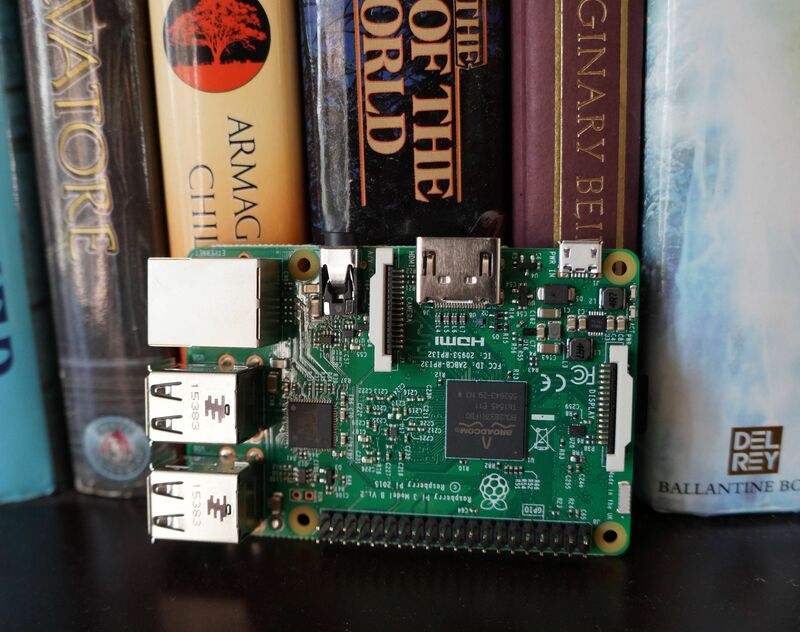 In November, the Raspberry Pi Foundation revealed the Raspberry Pi Zero, a $5 version of the iconic computer that still runs 40 percent faster than the original despite its low, low price. 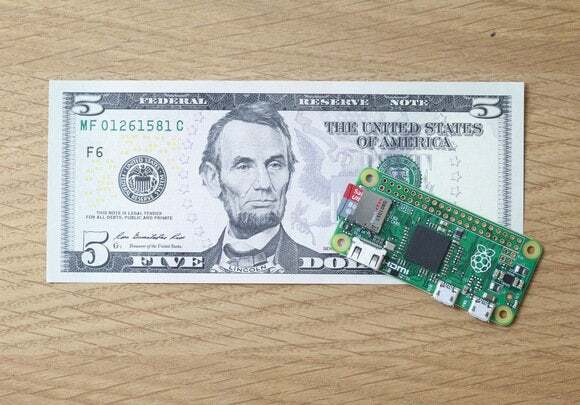 That’s so cheap that it was bundled for free with MagPi magazine in the UK to herald its launch. The Raspberry Pi Zero rocks the same Broadcom BCM2835 application processor as RP1, with a 1GHz ARM11 core. It’s packing 512MB of RAM and a microSD card slot for the operating system, while it talks to the outside world via mini-HDMI, micro-USB ports, and 40 GPIO pins (you know, for crazily innovative maker projects). Let’s get away from board-type systems into more proper—though still unconventional—computers. Few mini-PCs have made as much of a splash as Infocus’s Kangaroo PC, which packs the same modest internals as many of the stick PCs you can find—an Intel Atom processor, 2GB of RAM, 32GB of onboard storage, etc. 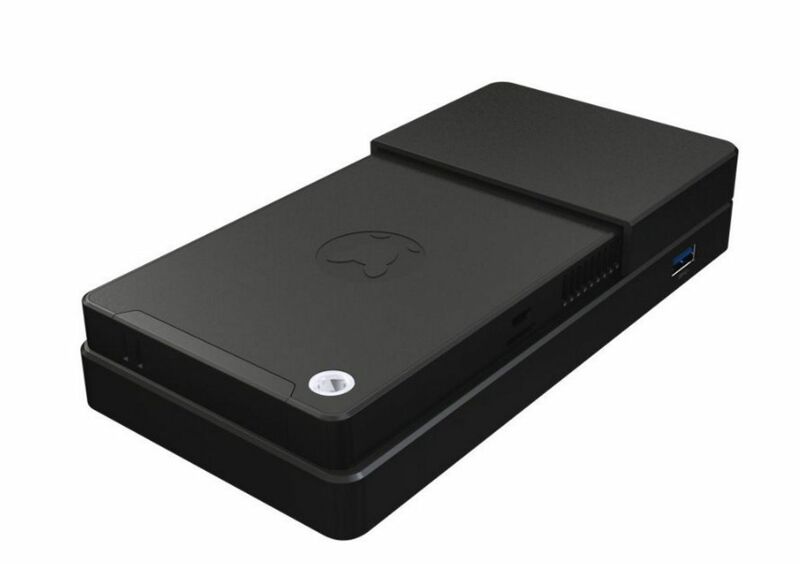 But the Windows 10-powered Kangaroo PC captured imaginations thanks to its dirt-cheap $99 sticker price, a dock that connects the device to PCs, and even the ability to use iOS devices as touchscreen monitors. Sadly, the original Kangaroo PC has been discontinued, but InFocus has expanded the Kangaroo line following the initial PC’s popularity. The pricier Kangaroo Plus offers more potent hardware but lacks a Windows 10 license, while the $170 Kangaroo Pro packs a beefed-up dock with more business-friendly features. Finally, there’s even a Kangaroo Notebook that comes with two swappable mini-PC module “brains” to let you securely switch between work and play for $350. Think of the laptop itself as a dock. 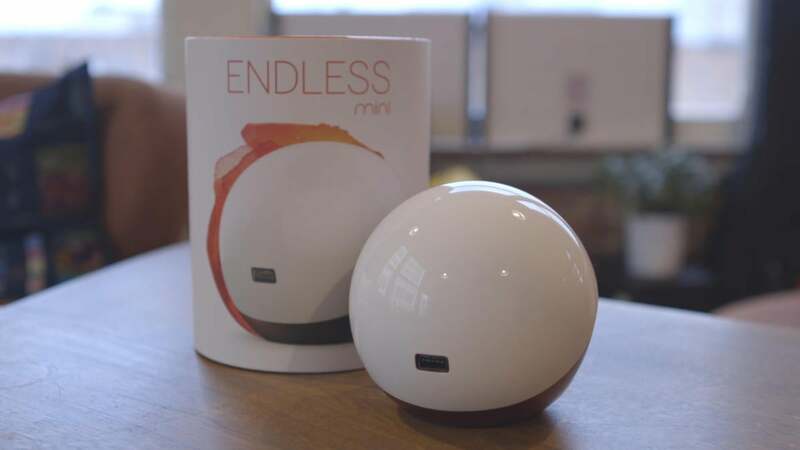 The funky $79 Endless Mini (pictured) was built for situations where Internet connectivity isn’t a given. Like most of the other truly miniature mini-PCs listed here, the Endless PC packs downright modest internals. But the secret sauce here is the offline capabilities. The Endless Mini stashes as much of the web as possible for offline use, reuses files whenever possible, and comes with numerous knowledge-boosting and downright helpful programs preinstalled. Check out PCWorld’s Endless Mini review for the full scoop on this unique device, and our look at the new Endless Mission educational computers that just launched in the U.S. this January. You’d be hard-pressed to find a desktop PC much smaller than the Raspberry Pi or InFocus Kangaroo. But forget traditional desktops! Advances in technology have shrunk computers so much that they’re now available in Chromecast-like stick form. Just plug it into your display’s HDMI port, connect to USB for power, and you’re ready to rock—though you’ll obviously need a (preferably Bluetooth) keyboard and mouse as well. Intel’s $150 Compute Stick is a PC-on-a-stick generating a ton of excitement, and it’s easy to see why with that form factor—though PCWorld’s Compute Stick review found the device deeply niche, especially for the more powerful $400-plus models. On the plus side, a legion of Compute Stick clones from the likes of Archos, Lenovo, and BeeLink have hit the streets with more modest capabilities and price points. But forget about Windows! 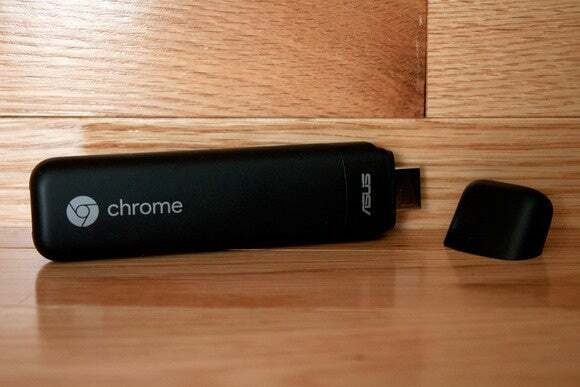 Asus’s Chromebit is almost more exciting, largely mirroring the spec sheet of the Compute Stick legion (aside from a Rockchip processor) but featuring Google’s Chrome OS instead. That versatility, plus the Chromebit’s paltry $83 sticker price, helped propel it to the top of Amazon’s mini-PC listings for several months running—ahead of even Asus’s own VivoStick, which only costs $87 and runs Windows 10. There’s just one caveat to be aware of: The Chromebit only has a single micro-USB port for a hardwired peripheral, so you won’t be able to plug both a keyboard and a mouse into it. But the pint-sized PC supports Bluetooth for wireless devices. On the other side of the puny-PC coin is Intel’s Next Unit of Computing, a polished, premium product that delivers full-blown desktop performance—albeit for a price often 10-times higher (or more) than the Raspberry Pi’s cost. NUCs use full-blown Intel Core processors inside their seriously sleek cases, which gives them abundant bite when it comes to computing. Actual performance metrics vary, however, depending on how you outfit your rig. Intel’s NUCs are bare-bones PCs, meaning you’ll have to bring your own storage, memory, and operating system to the party. The NUC line has been successful enough to survive several product generations at this point. Intel’s refreshing the NUC lineup with Kaby Lake processors, Thunderbolt 3, and more, and even released a “Skull Canyon” NUC with killer performance and powerful integrated graphics capable of playing PC games. 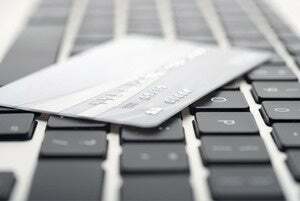 What, pricey Windows machines aren’t your thing? 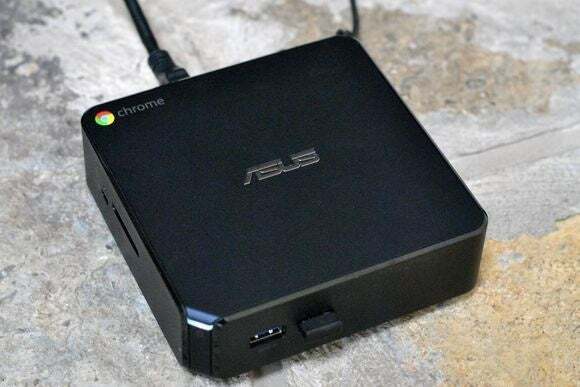 Check out the Asus Chromebox, the desktop equivalent of a Chromebook. At 4.88 x 4.88 x 1.65 inches, it’s slightly larger than the NUCs of the world, but still svelte enough to fit in your hand. 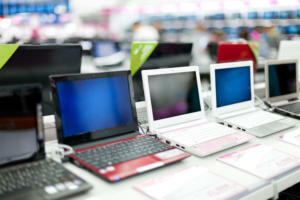 Don’t scoff about Chrome OS, either. Google’s operating system is surprisingly potent despite lacking compatibility with Windows software—and at $200 for the base model, the price of the Asus Chromebox is certainly right. Grab one soon if you’re interested, though, since availability is starting to dwindle. If the Chromebox’s lack of software support trips you up, fear not: Asus also offers the VivoMini, a tiny 5.14 x 5.14 x 2.05-inch PC with processors ranging from basic Core i3 chips all the way up to beastly Core i7s. Now for the bad news: Like NUCs, the VivoMini line are bare-bones PCs, so you’ll need to BYO storage, RAM, and operating system. But you’ll get 802.11ac Wi-Fi support straight out of the box at least. Acer’s not the only major PC manufacturer with a newfound love of tiny PCs. HP’s going all-in with a veritable army of itty-bitty computers. 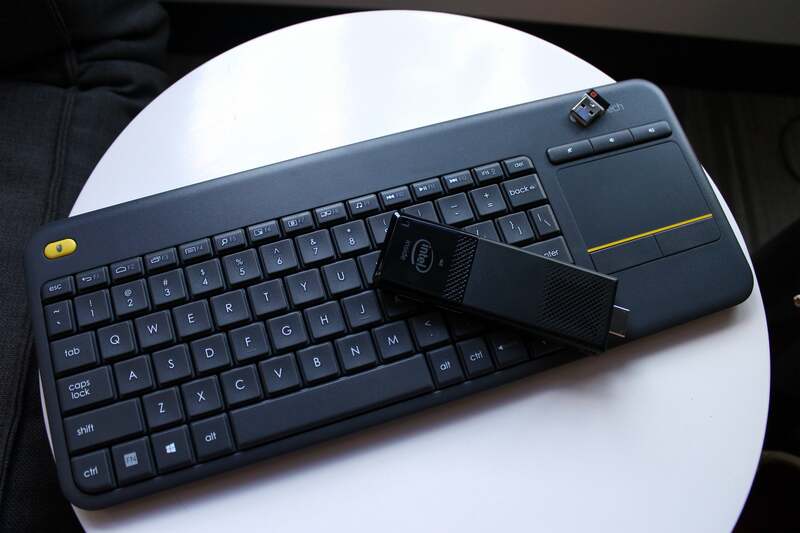 The Lego-like HP Elite Slice (pictured) follows in the footsteps of Acer’s Revo Build with a modular design that makes adding new capabilities and features as easy as snapping on new layers of hardware. 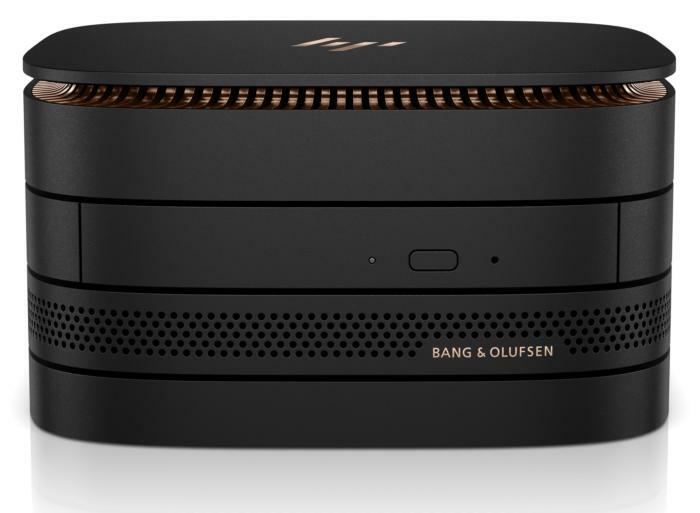 The HP Z2 Mini, on the other hand, is the “first mini workstation designed for CAD users,” while the fabric-clad Pavilion Wave’s radical design is inspired by classy home-theater speakers. Only the Elite Slice would truly sit comfortably in one hand, though. That’s not the case with Zotac’s extensive computing arsenal. 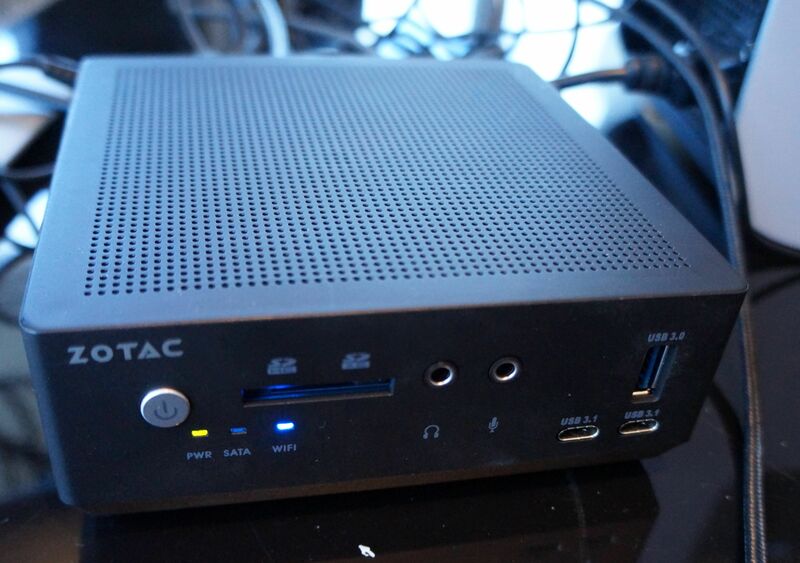 Zotac’s been making mini-PCs since before mini-PCs were cool with the iconic Zbox bare-bone PC lineup, and it offers a staggering array of itty-bitty computers for everything from basic word processing all the way up to no-compromises gaming and VR. At CES 2017, Zotac announced plans to update much of the Zbox lineup with Kaby Lake processors, Thunderbolt 3, vPro support, and more. 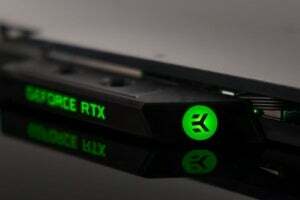 It also introduced an external graphics card dock designed to bring desktop-class gaming firepower to Zbox rigs tiny enough to slip into your pocket. 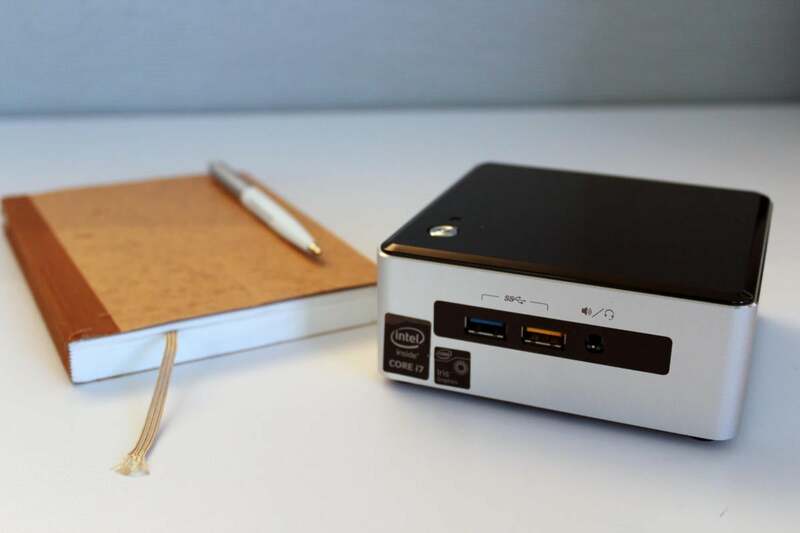 Linux enthusiasts love tiny PCs, too. 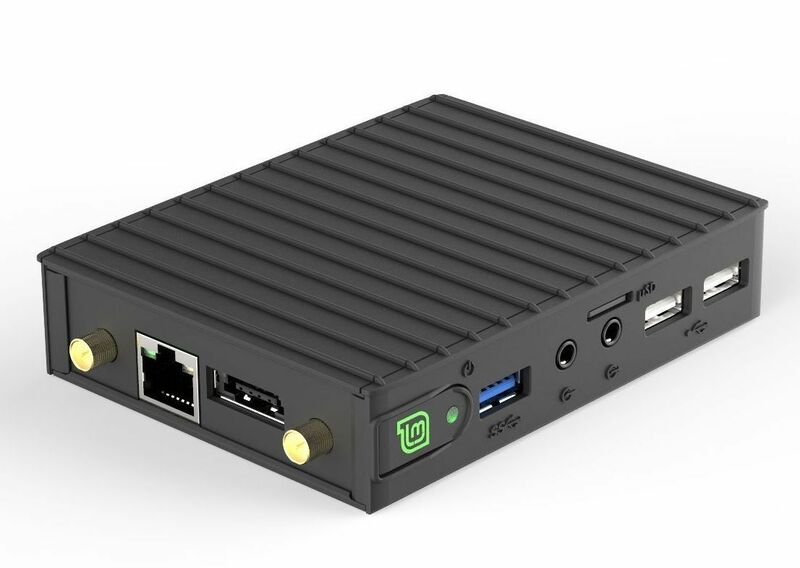 The sleek Mintbox Mini, running Linux Mint, squeaks in at just under an inch tall and is a whopping five times smaller than the original Mintbox mini PC. This computer’s distinctive not only for its tiny size, but also because it runs Linux Mint out of the box. With an AMD A4 6400T processor packing Radeon R3 graphics, 4GB of RAM, and 64GB of solid-state storage, the Mintbox Mini should be able to handle basic web browsing, video playback, and productivity suite tasks just fine. Even better? Between the SSD and the passive cooling for the processor, this pint-sized PC runs utterly silently. If you’re looking for a bit more firepower out of your itty-bitty PC check out the Mintbox Mini Pro. It features a much more powerful A10-Micro 6700T APU, twice the RAM and storage of the baseline Mini, onboard 802.11ac Wi-Fi, and a revamped design to better dissipate the heat generated by those beefier components. 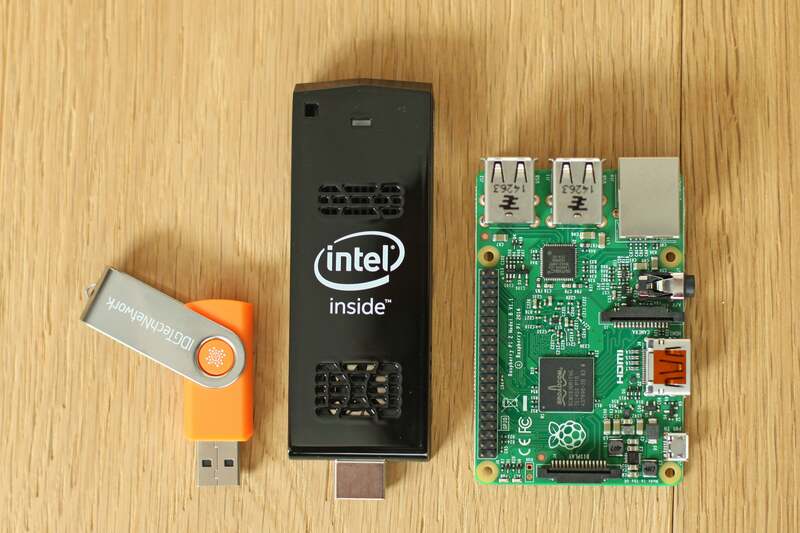 Finally, those itty-bitty NUCs look practically bloated next to Intel’s latest invention. 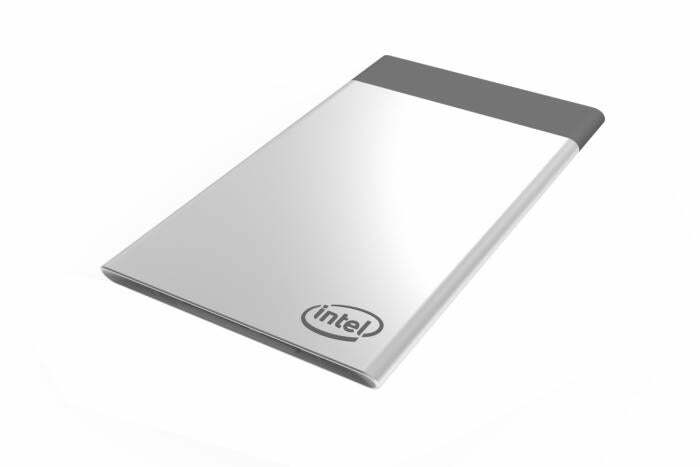 The Intel Compute Card is exactly what it sounds like—an amazingly thin card-like computer packing a Kaby Lake processor, memory, storage, and wireless connectivity. Now for the bad news: The Compute Card isn’t built for today’s PCs. Heck, it’s so slim it can’t even offer a single USB-C port. But this could—just maybe—herald a future where you update your all-in-one PCs, drones, and robots by simply slipping a new PC card into a slot.